Who’s never heard of Bohol? Definitely most people had gone to this beautiful island province, but not me. I have been living in Cebu for quite some time yet I haven’t been to this place. Not since 2 weeks ago. 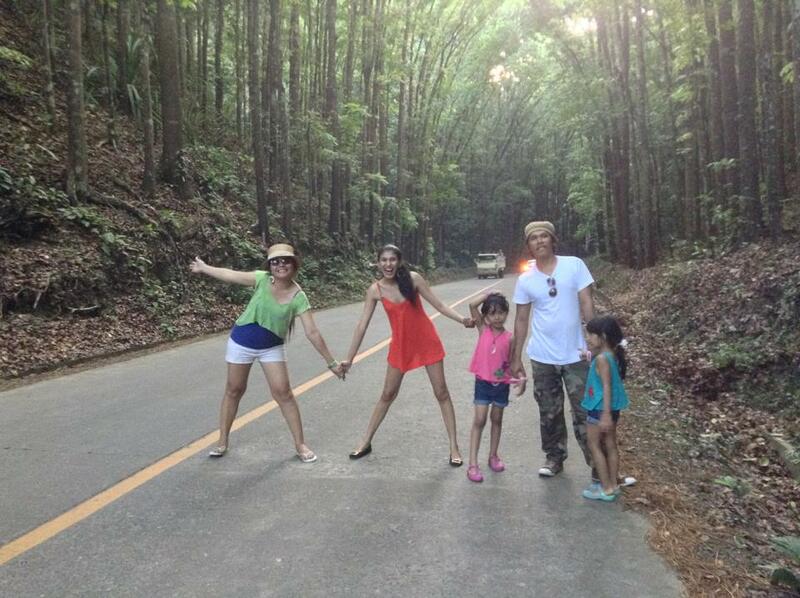 Bohol is just 2 hrs away from Cebu so there’s definitely no reason why Cebuanos ( like me) cannot go there. There are lots of options in going there, you may take the fast craft (2 hrs) or slow boat (5 hrs). Fare varies, usually fast crafts have round trip promos that could save you bucks. Kindly check this link for schedules. 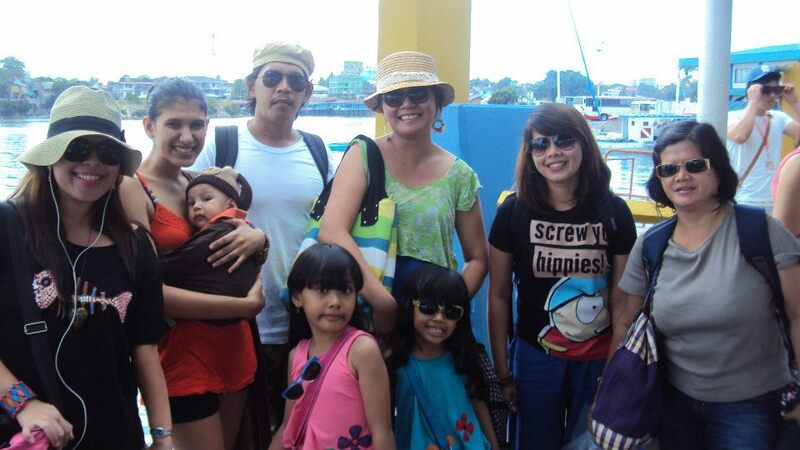 We boarded the 7 am 2Go( previously Supercat) to Bohol. 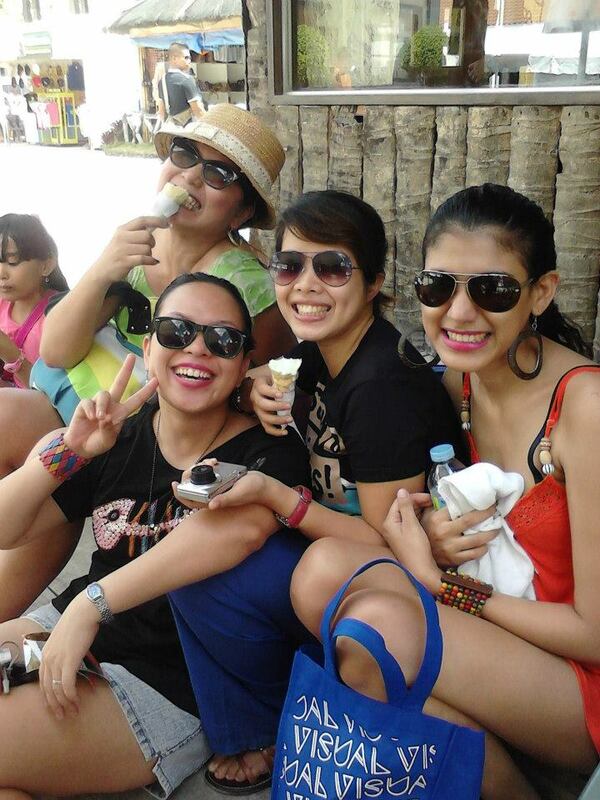 It was supposed to be a 2 hour ride yet we ended up reaching Bohol at 10 am. There was something wrong with their engine I guess since the aircon was down too. The rented car was already waiting for us when we disembarked. Of course, we took pictures upon disembarking. I didn’t ask for our driver’s number since the group didn’t like him much. He was all talkative ( the kind that doesn’t stop), cocky and was coughing openly throughout our trip. 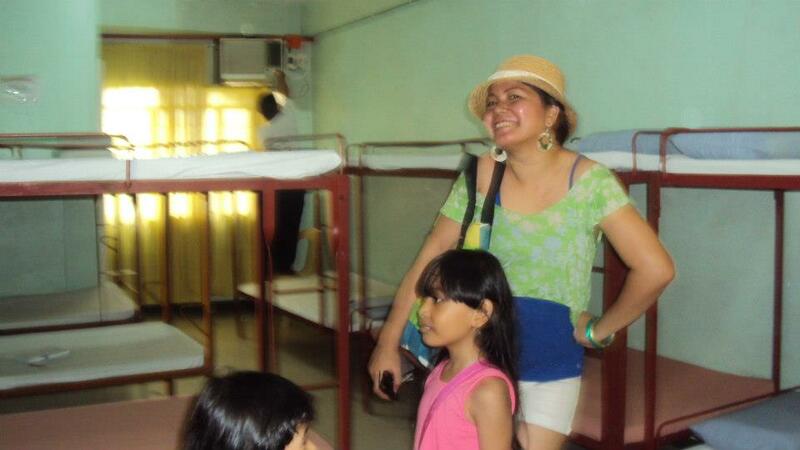 We stayed at BPSTEA ( Bohol Public Teacher’s Association) in Tagbilaran. It is comparable to our YMCA here in Cebu. Since we were many, we had the dormitory type of room that could accommodate 10 people. The room is decent with aircon, tv and toilet and bath. 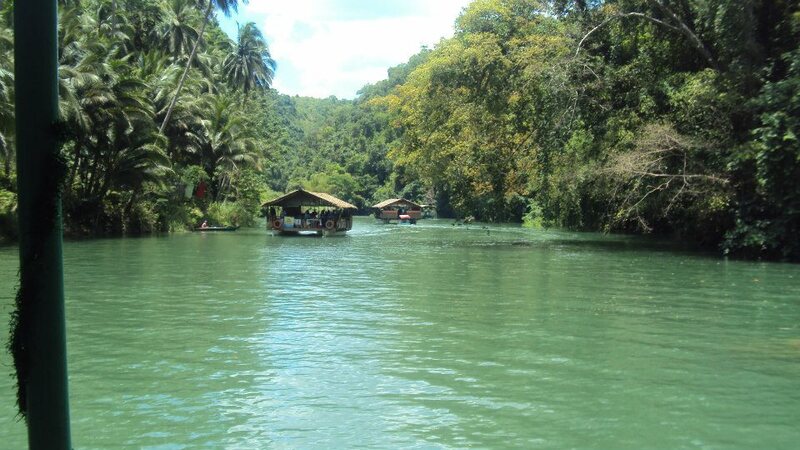 The floating restos runned by a pump boat would take you to the long stretch of Loboc River. 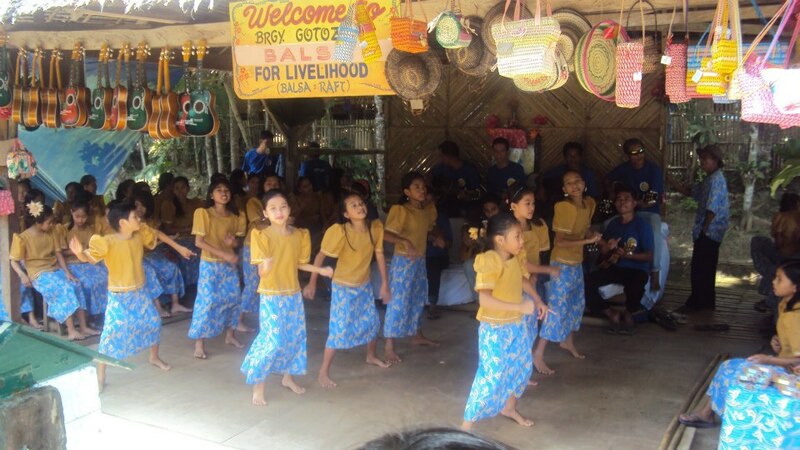 The cruise lasted for an hour and stops are made so touists could watch the locals dancing to Bohol’s native dances. During our stop, the locals presented the Kuradang. My mom was so thrilled watching them that she asked me to give some donation. Its not included in our itinerary but our guide took us here. It was a zoo, nothing more nothing less. 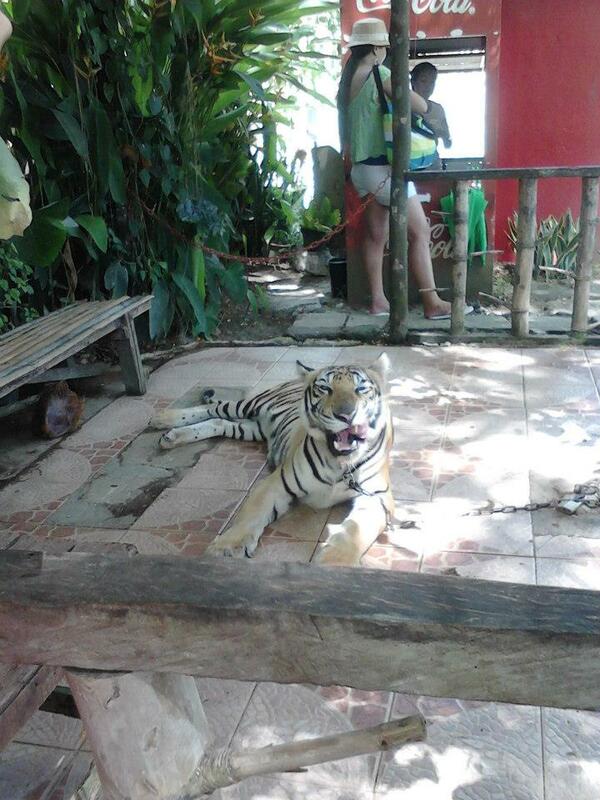 On the entrance of the zoo, you can see Tiggy, a year old tiger given by Chavit Singson. As you go through the course of the zoo, you can see a dwarf pony, Chinese chicken, Alamid, Peacock, etc. Who wouldn’t know this? This is written all over our Sibika at Kultara texbooks throughout elementary. 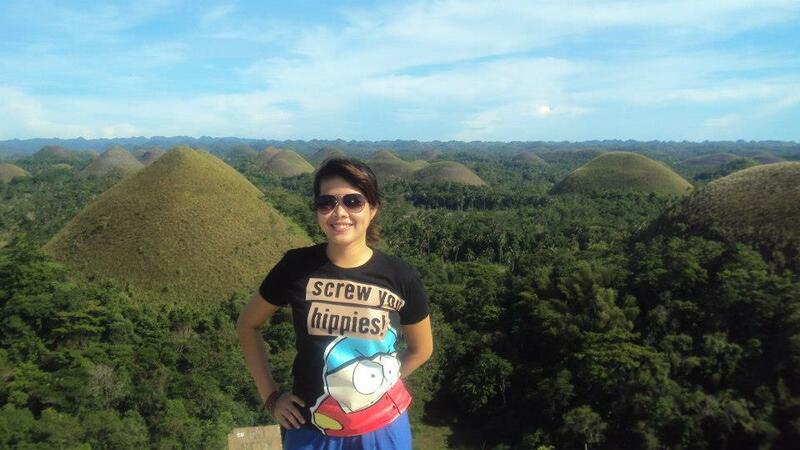 There are no less than 1, 260 perfectly- shaped hills scattered throughout the towns of Carmen, Sagbayan and Batuan. The observatoryis located in Carmen. You have to climb up 214 steps to reach the view deck. Aside from taking pictures of yourself with the Chocolate Hills at the background, some business locals offer jump shots. The tourists are asked to ride on a large broom and jump while pictures are being captured. The result is, you’re like flying along the course of the hills! Again, this isnt part of our itinerary but our driver took us there. It’s literally a house formed like a ship. We didn’t get inside though. We just took pics outside the house. The house is owned by Capt. Gaudencio Dumapias. 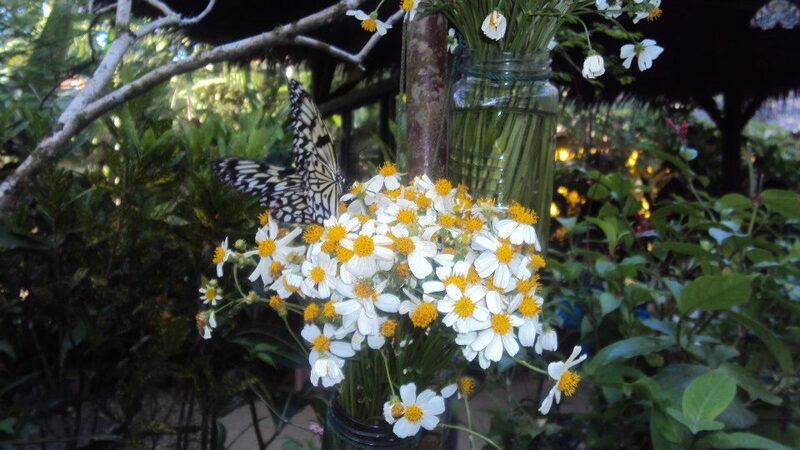 Neither did I like or hate butterflies but the short trip to this Butterfly Sanctuary had made me appreciate them more. Kudos to our tour guide (I forgot his name) who brightly lectured us with things we didn’t know about these colorful creatures. It was already closed when we reached the tarsiers but thanks to our ever energetic driver, he managed to convince the manager to have it opened for us. 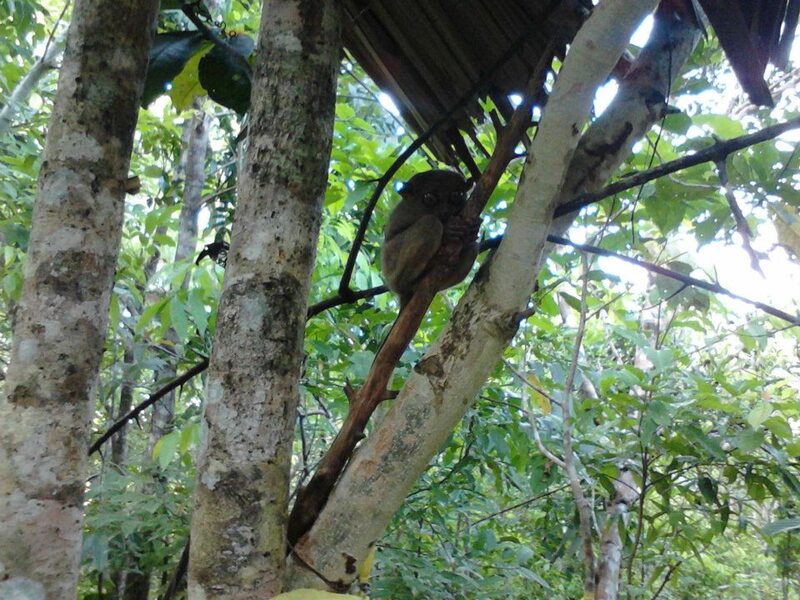 We managed to see two tarsiers only since we were not allowed to go through the other side of the conservatory. b. They are nocturnal primates. Lucky for us, it was near dark when we got there so their wide bulging eyes were wide awake. d. Their babies are a size of a thumb. e. They feed by themselves. That is why you cannot set them in a cage and provide them food. When you do this, they commit suicide. They would go on a hunger strike. f. They are carnivourous creatures. They eat insects. 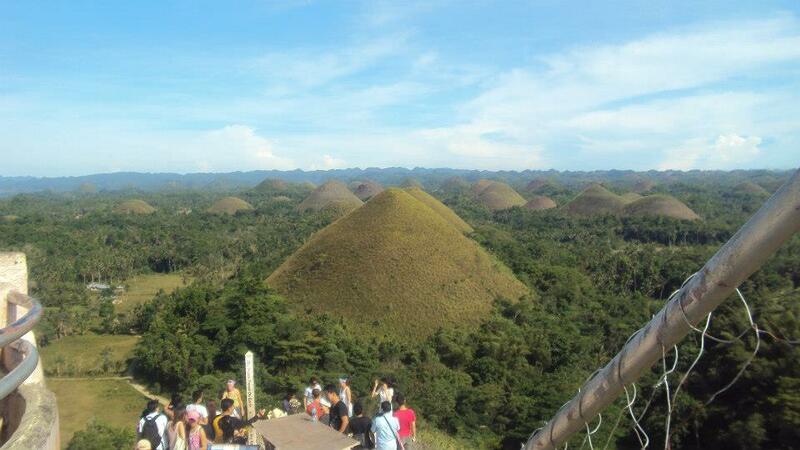 This is my one of my favorite place in Bohol. Passing along this area makes me feel so close to nature. The chilly sensation you feel plus the wide array of meters long trees and ferns gives you that tranquil feeling. The famous prony. 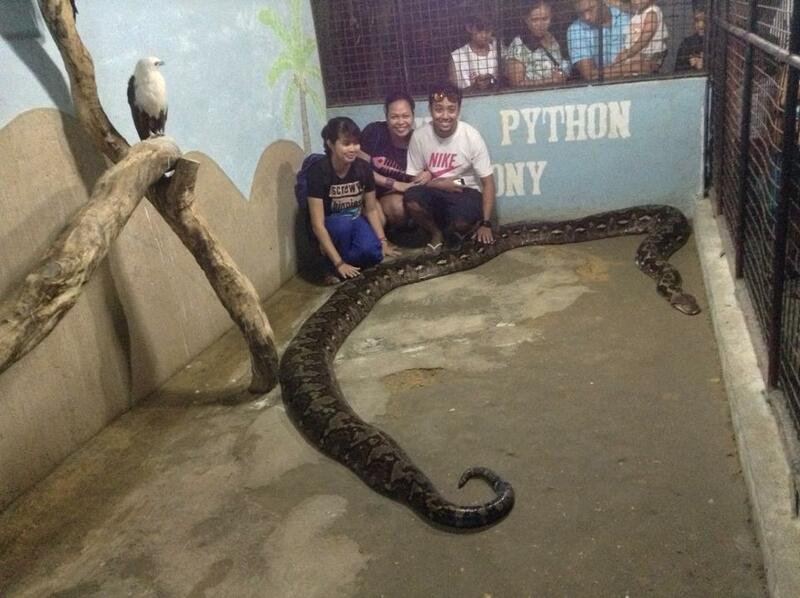 The obesed phython who’s now 240 kilos at 30 inches. Along with prony, you can also see some animals like the Philippine Flying Lemur and Alamid. Their ube jam at 100php is yum! They also sell pastillas and polvoron for 20 php per pack good for pasalubong. That was the end of our country side tour. Unluckily we were not able to visit the Baclayon Church and the Blood Compact Site. We ran out of time we just passed by it. After freshening up, we went to Payag Retaurant in Tagbilaran for dinner. Their food is such a glory. A must try is their Chicken Inato (chicken barbeque) and Binakhaw.